Our goals are only met once we've accomplished yours. Palkiper has specialists in all commercial property types. Whether you need retail, office, industrial, vacant land, or multi-family properties, Palkiper will find the best solution for your requirements. Palkiper has experience in the Central Florida, West Florida, and South Florida markets. We offer full listing services including property valuation and analysis. We will market your property effectively to ensure that we meet your financial goals as quickly as possible. Our thorough evaluation, quality and ethical standards have cultivated a sense of trust among prospective buyers of your property and the commercial real estate community. Businesses looking to relocate can count on Palkiper to find the optimum building or space to fit the specifications required for your company’s needs. Investors looking to purchase income producing properties will receive a variety of choices that have been analyzed to determine cash flow, cap rate, rate of return and tenant quality. Our objective is to present properties that will meet your investment goals. Developers can count on Palkiper to find vacant or entitled land for new projects. Our highly motivated professionals are always on the hunt for properties ideal for redevelopment. Medical professionals have trusted Palkiper to locate properties that satisfy the necessary location, demographics, functionality, and price for their practices. The Certified Commercial Investment Member designation represents proven expertise in financial, market, and investment analysis. A CCIM designee provides clients with the assurance that every decision will be made in the best interest of their investment objectives. Why Work with a CCIM? CCIM is the most prestigious designation commercial real estate professionals can achieve within the industry. By partnering with a CCIM, you effectively utilize the top-level, most reliable performers in the industry. 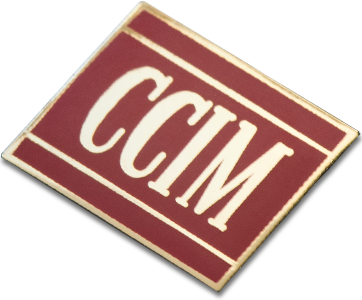 When you use a CCIM, you choose a trusted community of real estate professionals that are consistently sought for their dependability, integrity, intelligence, success and confidence. CCIM designees are bound to the strictest ethical guidelines and standards of practice in the industry today. In addition, each CCIM has successfully completed a graduate level program comprised of 200 hours of education. A 1031 exchange is defined in section 1031 of the Internal Revenue Code of 1986. The most important part of a successful 1031 exchange transaction is the planning! Before the disposition of the original property, make sure that you understand the entire process, including deadlines, choosing a qualified intermediary (QI), and what property qualifies for the exchange. Discuss your exchange plans with your CPA and your attorney to ensure that this option is beneficial for your unique financial and tax situation. Your Palkiper Real Estate Advisor can work with your tax professional to make certain that an exchange is beneficial, and to accomplish a smooth and successful exchange. Once it is determined that a 1031 exchange is advantageous, you must choose a qualified intermediary. The qualified intermediary must be carefully selected. One common error is using one’s own attorney as the QI. The IRS does not allow someone who has been your “agent” within the 2 year period before the transfer to act as your QI. Palkiper can recommend a variety exchange service companies to act as your QI for the exchange. The exchanger has only 45 days after the disposition date to identify potential replacement properties and only 180 days to close on the new property. Because of these deadlines, it is critical to have preplanned the process and even to have already selected some possible replacement properties. These deadlines are set in stone. You may not apply for an extension. The properties must be “Like-Kind”. Generally, real property is “like-kind” to other real property. If you sell an apartment building you can purchase an office building. These are both considered real property; therefore they are “like-kind”. To qualify for a tax deferred exchange under IRC §1031 both the relinquished and the replacement properties must be held by the Exchanger for investment purposes or for “productive use in their trade or business”. Your home will not qualify for an exchange. Palkiper has experienced professionals to assist with this important tax deferral exchange process.